Happy Friday! 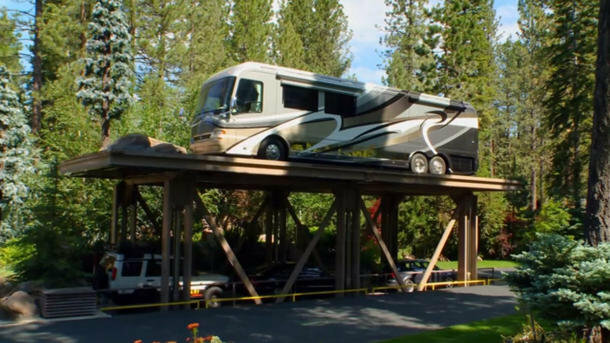 Check out Tom Gonzales’ awesome car elevator at his Lake Tahoe estate… with the push of a button, a car elevator pops up from the driveway! It’s capable of lifting up to 250,000 pounds and can hold a parked motorhome and several vehicles! CLICK HERE TO CHECK OUT THE CAR ELEVATOR!